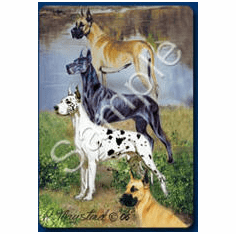 Show off your favorite breed on Poker or Texas Hold 'Em night. 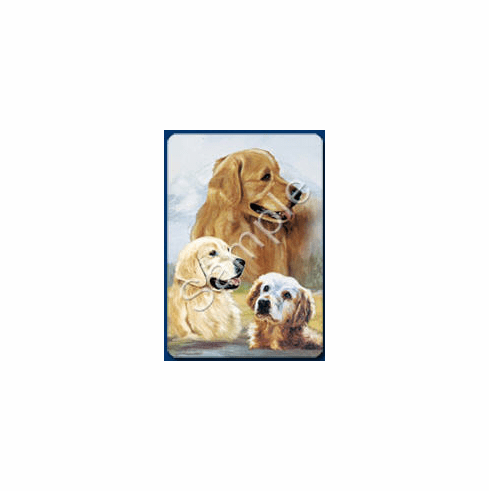 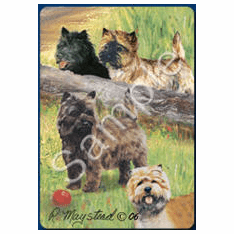 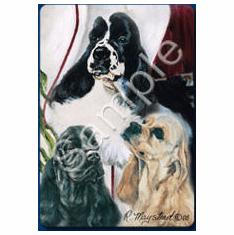 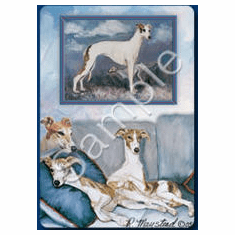 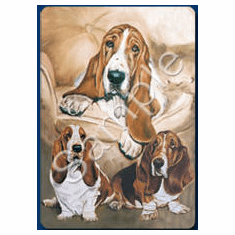 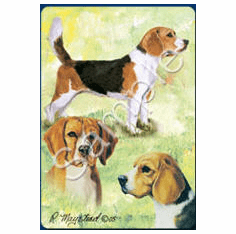 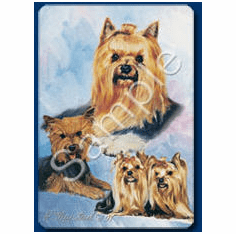 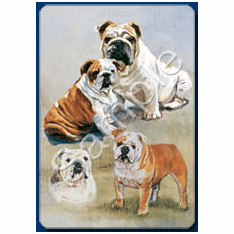 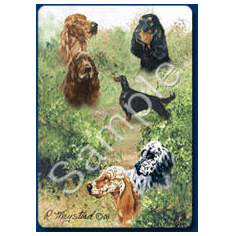 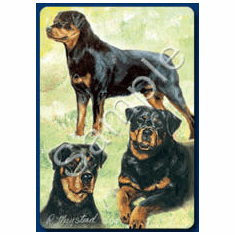 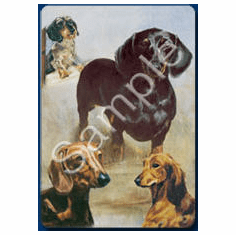 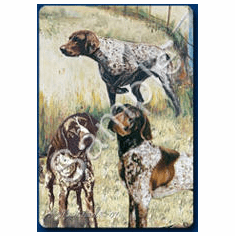 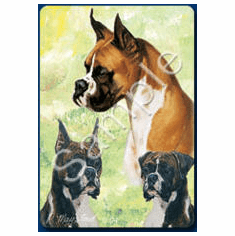 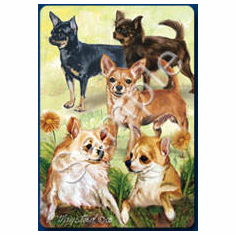 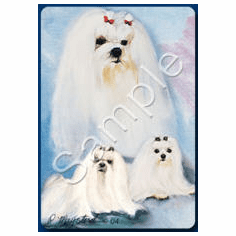 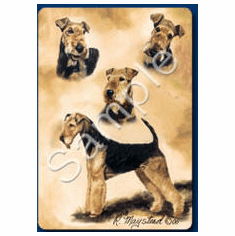 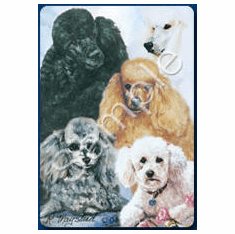 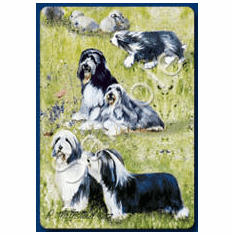 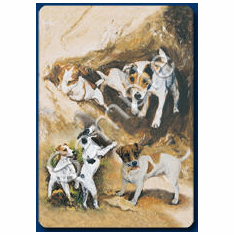 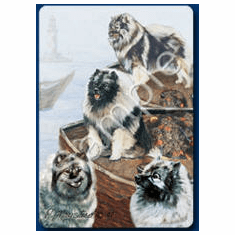 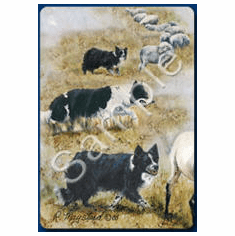 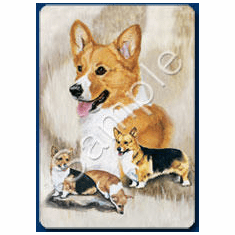 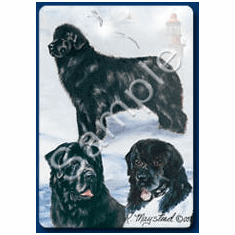 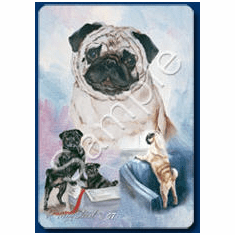 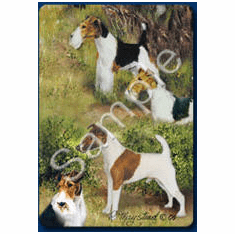 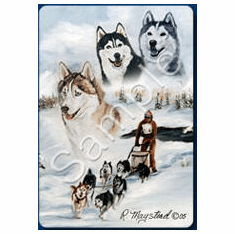 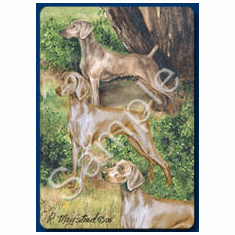 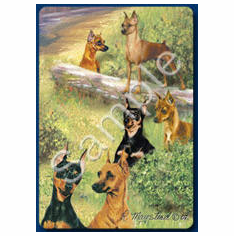 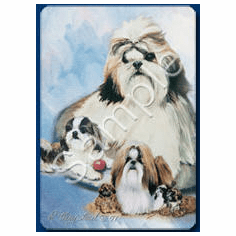 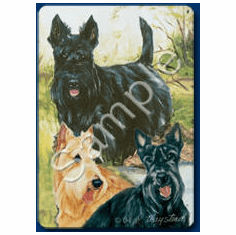 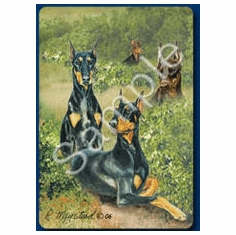 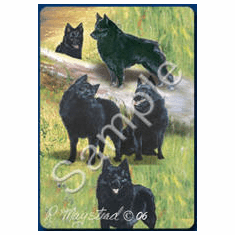 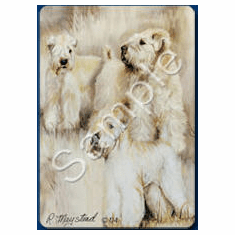 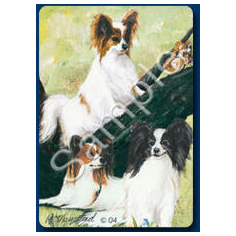 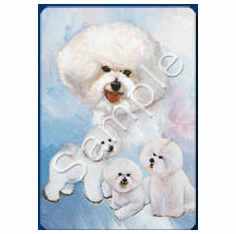 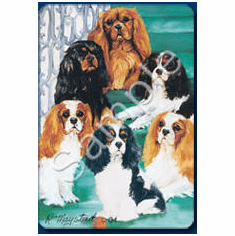 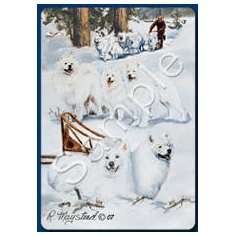 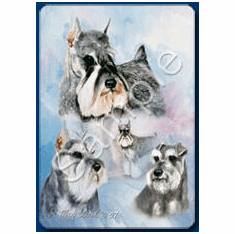 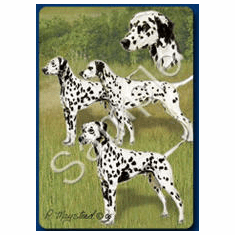 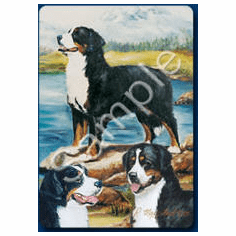 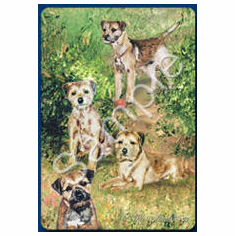 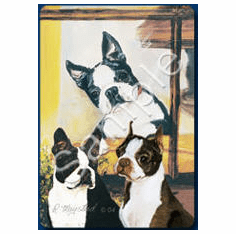 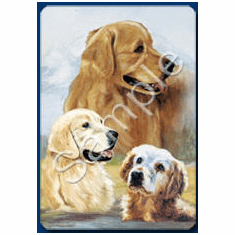 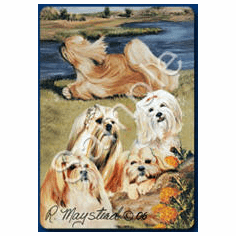 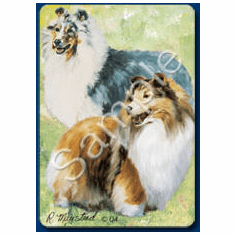 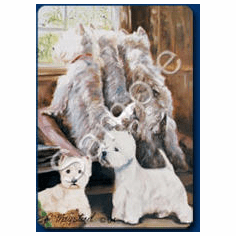 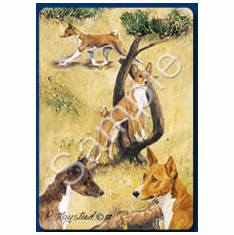 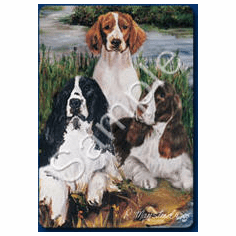 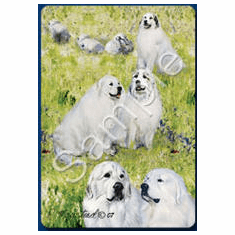 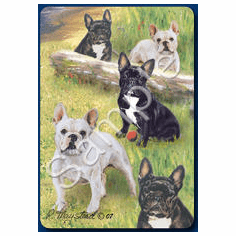 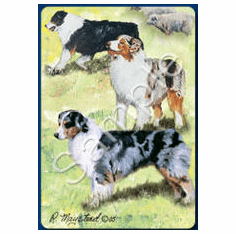 Get these great looking poker size card decks with a scene featuring your dog's breed by reknown artist Ruth Maystead. 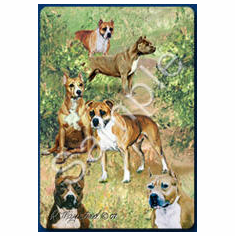 You can mix or match for quantity discount. 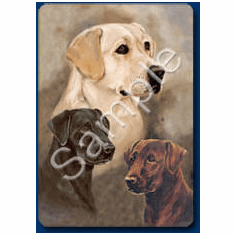 If you order between 25-50 decks of cards, or over 50 decks of cards we will manually pro-rate the price to reflect the quantity discount. 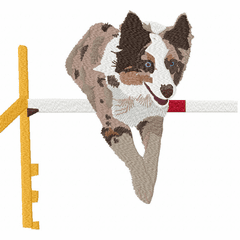 You can do the quantity changes in the shopping cart. 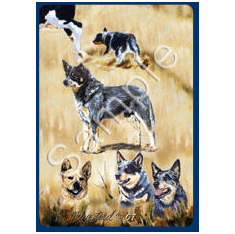 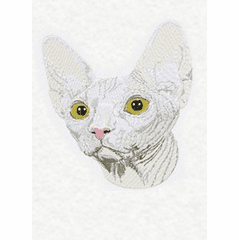 We try to keep these in stock and unless we're out we'll send them the next business day.